Neal & Coleen Walters live in Greencastle, PA. For over 20 years, Neal played with the Mill Run Dulcimer Band and recorded eight albums with them. Coleen is also a talented fabric artist. Neal provides the strong vocal lead of the group while playing guitar, mountain dulcimer, banjo, mandolin or autoharp. 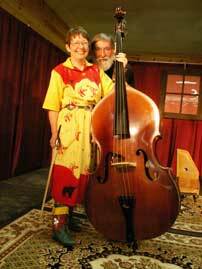 Coleen sings a low harmony and plays bass or percussion (rhythm egg or limberjack). Neal and Coleen also play as a duo at festivals and workshops across the country. They were elected to the Autoharp Hall of Fame in 2011. John & Heidi Cerrigione live in Ellington, CT and also perform as a duo and as part of Jerimoth Hill, along with Aubrey Atwater and Elwood Donnelly. John plays guitar, banjo, mandolin, or acoustic bass for the group while Heidi plays autoharp, hammered or mountain dulcimer. Both sing lead and vocal harmony. Heidi teaches autoharp and hammered dulcimer and John teaches clawhammer banjo. Doofus regularly performs at dulcimer and autoharp festivals such as the Cranberry Dulcimer Gathering , the Mountain Laurel Autoharp Gathering, the Chestnut Ridge Dulcimer Festival, the Augusta Heritage Program, the Swannanoa Dulcimer Week, the Yellow Banks Dulcimer Festival, the Housatonic Dulcimer Celebration, the John C. Campbell Folk School, Augusta Heritage Center, Tolland Arts Center, and Vermont's August Dulcimer Daze as well as numerous private functions. Neal & Coleen have also traveled widely, teaching and performing across the country at programs such as Kentucky Music Week; the Dallas (TX) Winterfest; Clarion Folk College, the Gateway Dulcimer Festival, the Bayou City Dulcimer Festival, and the Mardi Gras Dulcimer festival. For upcoming appearances, click here . 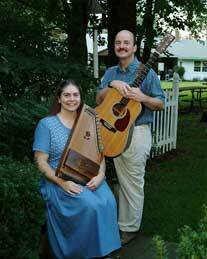 In 1996, Neal & Heidi collaborated to produce a repertoire book of "30 Old Time Songs/Tunes " for Mountain Dulcimer and Autoharp. This has recently been updated with the audio files and musical notation in PDF format now all contained on one "enhanced" CD. Doofus recorded their first CD called " What Did We Leave Behind?" in 1998 followed by "Handful of Songs " in December, 2000. "Relatively Serious" was released in July, 2002 and "Stream of Time" in June, 2006. 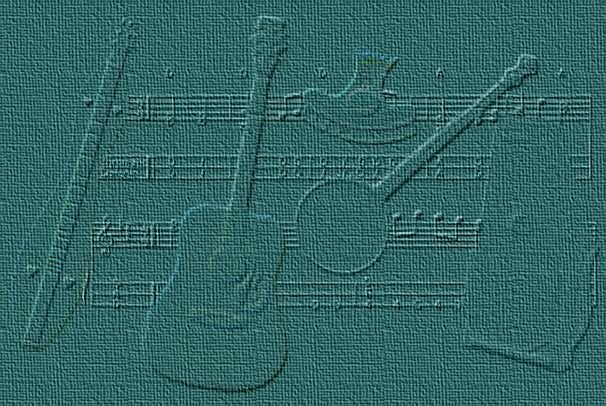 Four "Occasionals " have been published with more music for mountain dulcimer and autoharp. Both John and Heidi and Neal and Coleen have recorded duet albums as well. See order form for details. All four doofs have years of experience teaching and playing with other groups, as well as writing and editing books and articles about folk music, including their specialty - old time music. Neal co-edited "The Music Hound Essential Album Guide to Folk Music ," published by Visible Ink Press, for which Heidi was a contributing writer. Both Neal and Heidi also contributed to "Music Hound World," the essential album guide to World Music.